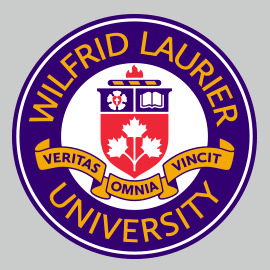 1.00 Wilfrid Laurier University is committed to maintaining the highest ethical standards in all of its activities and to acting immediately on any Wrongdoing. University faculty, staff, students and volunteers are expected to act with integrity and honesty and to protect University property and public funds for which they are responsible. With this policy, the University aims to protect any student, volunteer or employee of the University who acts to expose Wrongdoing within the University. 2.00 Because of their involvement in the University’s day-to-day operations, employees and students are often in the best position to observe and report unethical conduct or abuse of the public trust. In keeping with the University’s commitment to accountability and transparency, the University will maintain an environment of safe disclosure for good faith reporting of improper activities (“whistle blowing”). 3.00 Nothing in this policy shall limit or supersede any other agreements entered into by the University and its employee groups, contracts, policies or procedures. b) To protect persons who, in good faith, make such reasonable disclosures of Wrongdoing by prohibiting subsequent reprisals against them. a) Good Faith Disclosure – Any disclosure made under this Policy concerning an actual or perceived Wrongdoing that is based on reasonable belief and is not malicious, frivolous, vexatious or made in bad faith. b) Reprisal – any adverse action taken against a person for making a Good Faith Disclosure. iv) making false claims or statements. 5.00 Faculty, staff, students and volunteers of Wilfrid Laurier University. 6.00 Any faculty, staff, student or volunteer of the University who has information and reasonable grounds to believe there has been Wrongdoing is encouraged to make a Good Faith Disclosure to persons in authority at the University. 7.00 A Good Faith Disclosure should be made to the next appropriate supervisor or manager. If the Wrongdoing may involve the next appropriate supervisor or manager, the Good Faith Disclosure should be made to the University Secretary and General Counsel. If the Wrongdoing may involve the University Secretary and General Counsel, or a member of senior University administration (i.e. University President and Vice-Presidents), the disclosure should be made to the Chair of the Audit and Compliance Committee of the Board of Governors. 8.00 The University shall take all necessary and appropriate action to carefully and fairly investigate and respond to disclosures of Wrongdoing, including legal action as appropriate. 9.00 The University will use all reasonable efforts to keep the details of a Good Faith Disclosure confidential, and shall protect the identity of the person making the Good Faith Disclosure to the extent possible under legislation, regulation, University policy, and collective agreements in effect at the time of the disclosure. 10.00 All persons involved in allegations of Wrongdoing are to be treated fairly and impartially and maintain the rights, privileges and protections afforded to them under legislation, University policies and collective agreements in effect at the time of the alleged Wrongdoing. 11.00 No person who makes a Good Faith Disclosure will be subject to Reprisal, either direct or indirect, and the University will investigate and take all appropriate action to address all allegations of Reprisal. 12.00 Any person who knowingly makes an allegation of Wrongdoing which is false, frivolous, vexatious or made in bad faith will be subject to disciplinary action, up to and including termination, as appropriate.